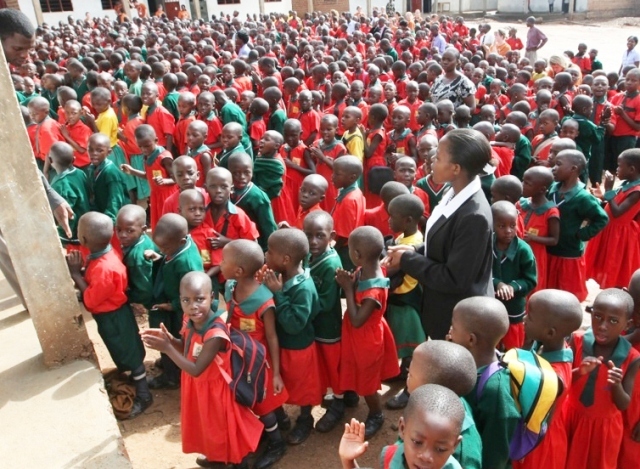 Kampala, Uganda | The children of Good Samaritan School are survivors. Most have been directly impacted by the brutality of the LRA or the devastating AIDS epidemic. The majority are orphans with virtually no chance for survival . . . until they came to Good Samaritan. As our team arrived at the campus, every child I saw was smiling. Hundreds of these children have been affected by the ruthless violence of the LRA . . . how in the world could they be so happy? I thought to myself as we were being shown the latest improvements to the school. But the smiles were genuine . . . the hope, unmistakable. God is certainly doing miracles here at Good Samaritan School. Healing is taking place, and lives are being restored. 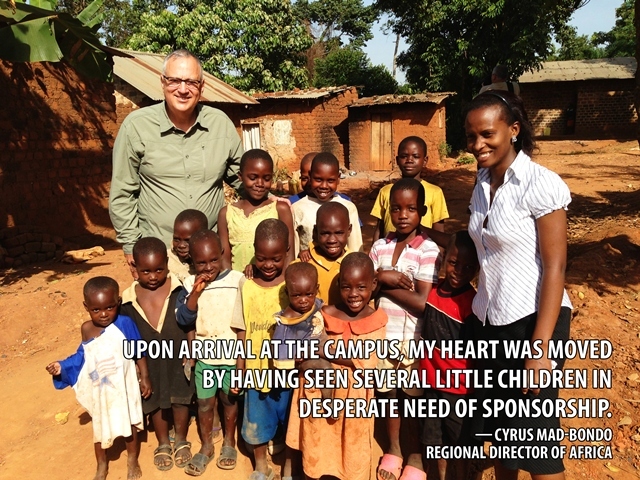 There are currently more than 2,000 sponsored children living on the campus. Literally, every child I met could not contain their gratitude for their sponsors. They couldn’t stop talking about them—the letters and gifts they received, the encouragement and prayer—it was like they were describing family members or close friends. 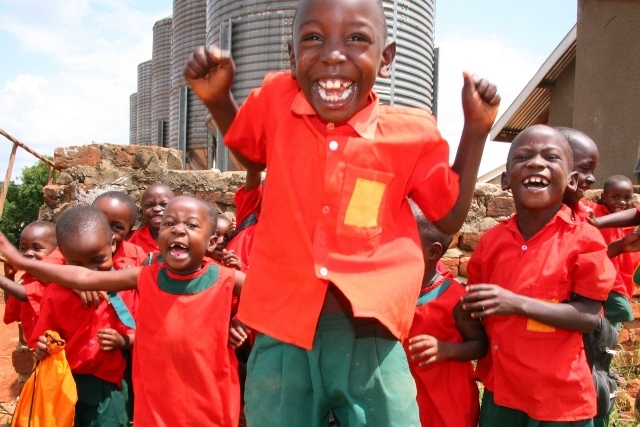 To the children, sponsors aren’t strangers . . . they’re heroes. I want all of our supporters to know that sponsoring a child isn’t just giving money for books or a meal, it’s coming alongside a child who desperately needs to know that someone cares for them. That’s why sponsorship means so much—it addresses the needs of a whole person: body, mind, heart, and soul. After reading stories like the ones I’ve been sharing with you throughout this Africa trip, many people have asked me what they can do to help. I encourage them to become a sponsor—it’s a simple way to reach into the life of a child and invest in something of eternal significance. Sponsorship provides a perfect illustration of what World Help is all about: bringing help for today and hope for tomorrow. 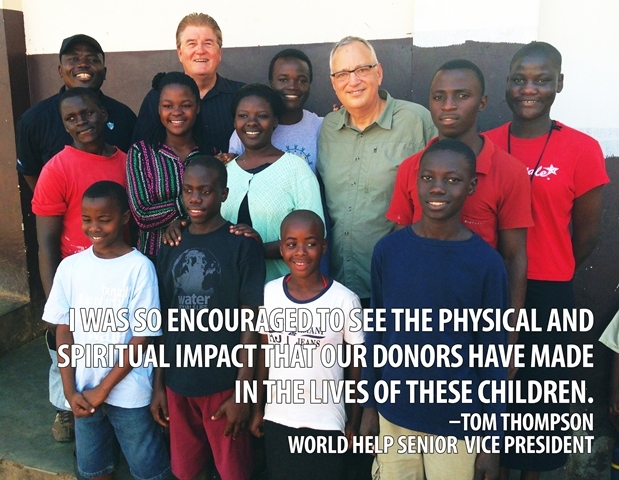 As a sponsor, you can provide for physical needs like nutritious food and clean water. But your gift does even more than that—along with the opportunity to receive an education and medical care, each child has the opportunity to hear about God’s love for them, and develop a relationship with Him for eternity. My friend and partner Alex Mitala is the visionary leader behind Good Samaritan. Sponsorship enables Alex to make a significant investment in their lives both physically and spiritually for years to come. But there’s still a great need. 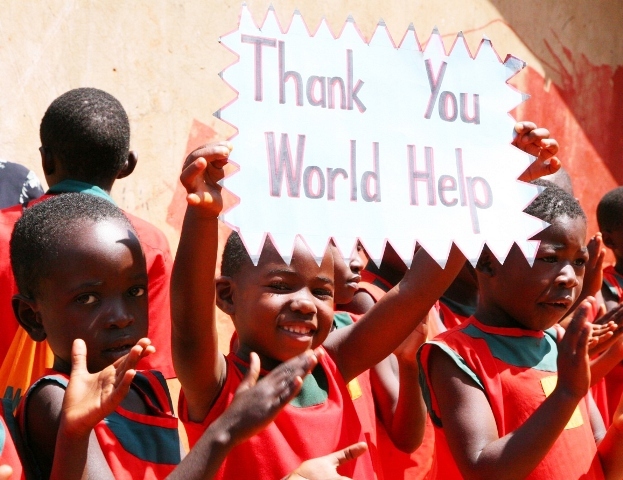 Right now, there are hundreds of children still in need of sponsors. I want to encourage you to help me meet this need by making the commitment to become a sponsor today. As I look back on my trip to Africa, I can’t think of a better gift to leave these children than to know there are sponsors lined up, eagerly waiting to invest in their lives. Will you consider making that commitment today? I want to leave you with this last video clip of the children of Good Samaritan singing a song called “Remember Your Children.” I hope it encourages you to get involved in the life of a child today. I can tell you firsthand, it’s a decision you’ll never regret.